Lit. S. R. Milbank, Coinage of Aigina, ANS New York, 1925, pl. 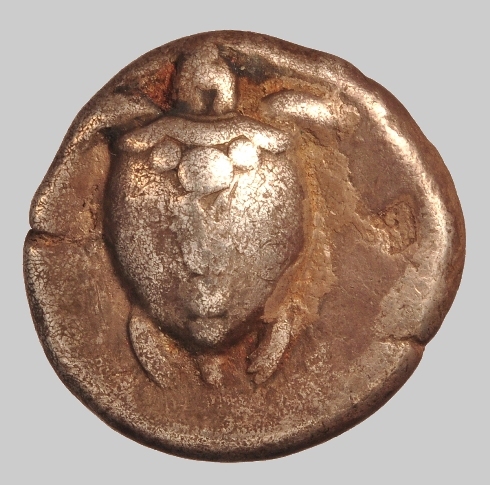 I, 15, period III; D. Sear, Greek Coins and their Values, vol. I , 1848. Aigina introduced the first coinage in the European western world, a tiny, rocky island in the Aegean sea. 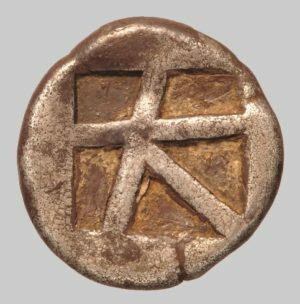 Lydia was the origin of the most brilliant of human inventions, coins!